The Counseling Department and the PTA invite you to a Counselors' Coffee in the cafeteria on Wednesday, Feb. 24 from 8:30 to 9:45 am. It's an opportunity for counselors and parents to come together in a casual setting. February's Coffee focuses on anxiety, finding a healthy balance of work and play, and supporting your child at Hunter. Questions? 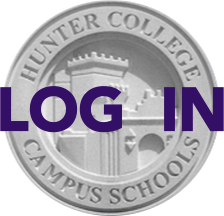 Email Marilyn Katz, PTA Counseling Committee Chair, at counseling@hunterpta.org by Feb. 22.